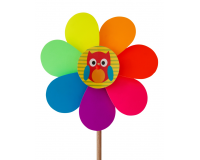 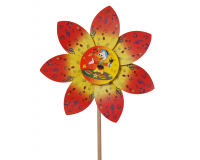 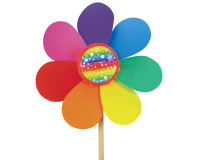 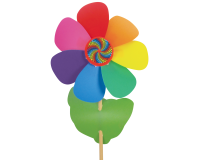 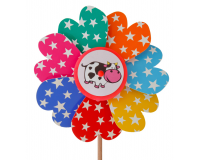 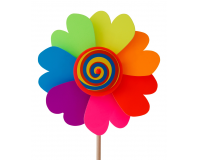 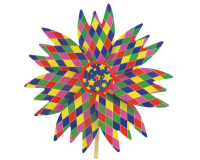 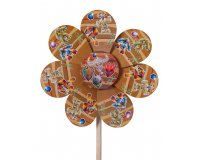 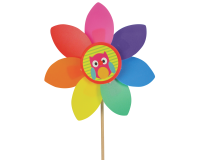 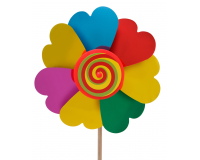 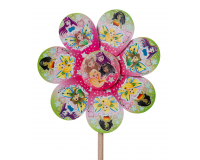 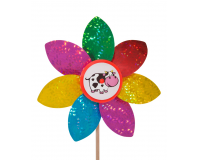 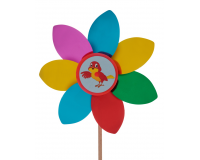 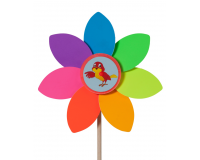 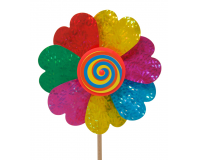 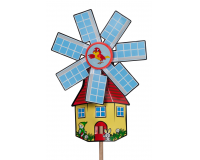 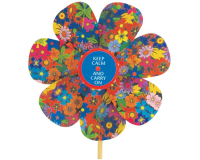 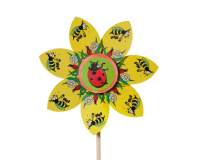 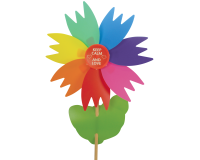 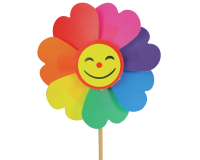 Windmill pinwheels are beautiful, assorted, available with lots of different decorations, sizes and shapes. 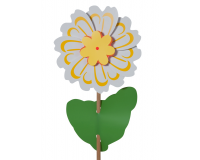 From 22 cm to 35 cm. 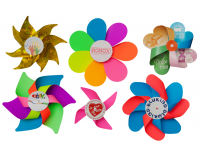 With an assortment of finishes: metallic, holographic, pastel, fluorescent, and even with printing. 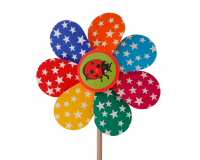 Suitable for children and as decoration, these are very compact and resistant.